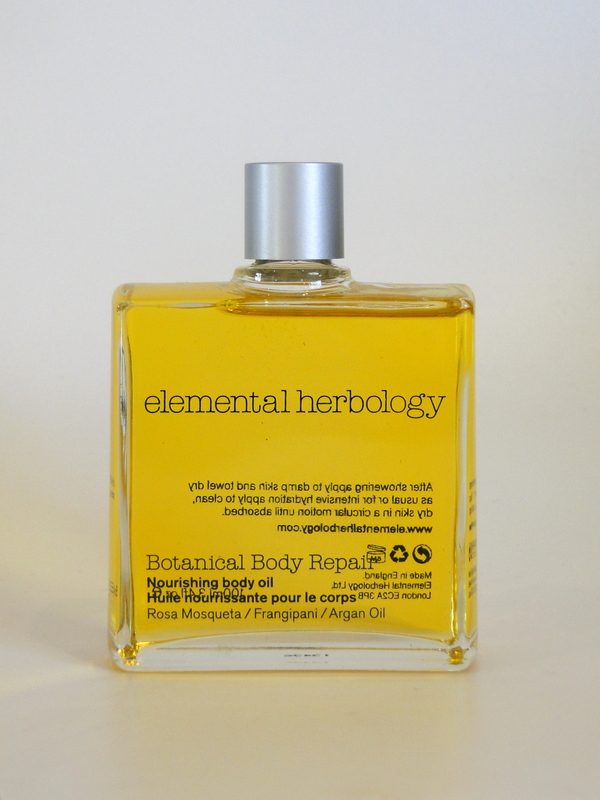 Winter really takes a toll on my skin – cold temperatures, central heating and covering up leaves me aching for some moisture – thankfully, Elemental Herbology has come to the rescue with their gorgeous Botanical Body Repair Oil. I am completely in love with the packaging – the square bottle is lovely and elegant, and I really appreciate the fact I can see how much product I have to work with – there isn’t anything worse than running out of a product half way through an application. The screw top can get a little clumsy with oily hands, but it’s really nothing to worry about. The oil is a glorious golden colour, and it smells divine: it’s packed with frangipani and jasmine so it’s floral, but not overpoweringly so – instead you just smell wonderfully fresh and clean. The oil itself is thick, and it feels so replenishing when applied. What’s so wonderful is that even though the oil is so rich, my skin completely drinks it up, so I can use this before dressing without fear of dreaded greasy smudges all over my clothes. Since using this my skin has seriously improved – gone is any sense of dryness – my elbows are silky and my skin feels healthy as well as moisturized. 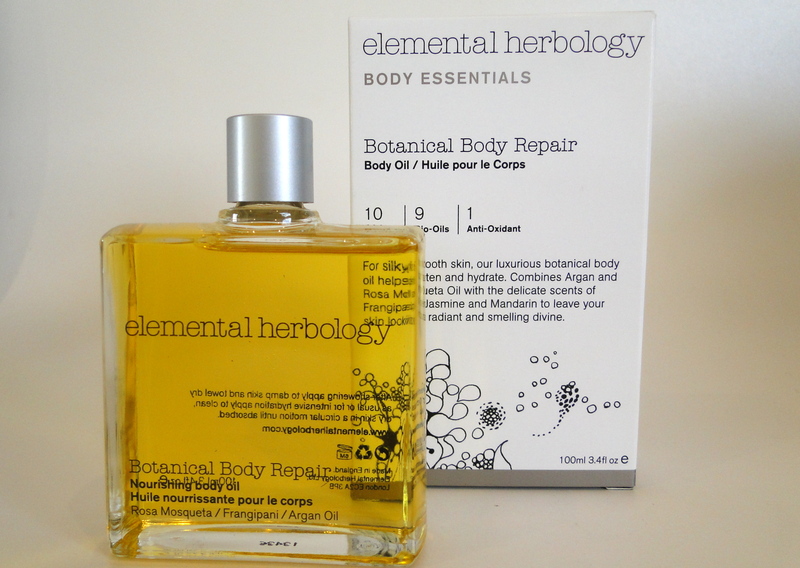 The oil is priced at £34.00 and is available here. 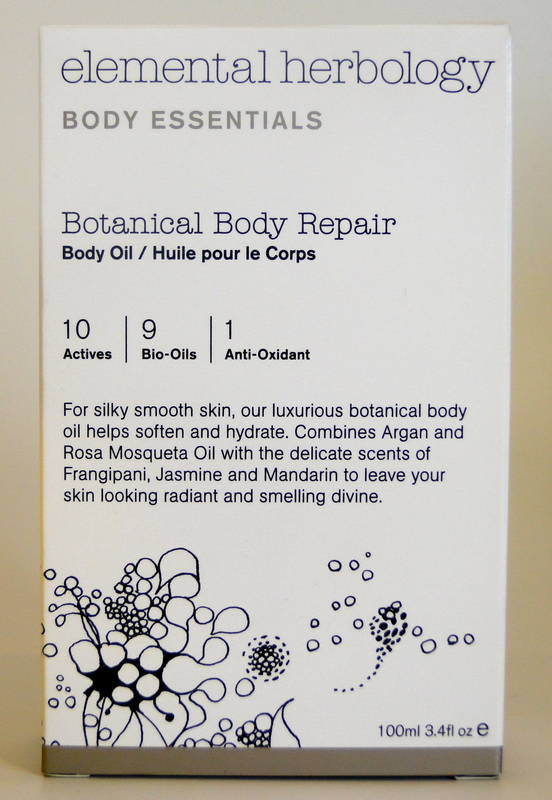 This product looks gorgeous, i love a good oil me! Might have to pop this onto my ‘last minute’ Chrsitmas list. great post.